In our last class before summer break, we explored creative nonfiction as a spectrum that incorporates elements of poetry, fiction, and various nonfiction strategies such as research, journalism, memoir, and instruction. Our reader response to that class is a review by a literary mama who is also an academic mama. 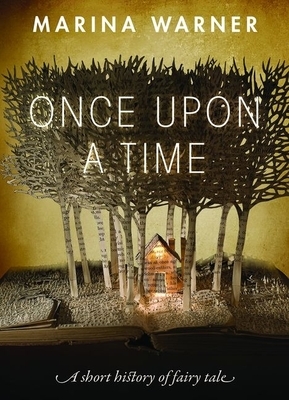 In her review of Marina Warner’s history of fairy tales, Kelly Peebles exemplifies the various strategies that comprise well-written nonfiction. Fairy tales were hands down my favorite stories of childhood. A hefty, amply illustrated collection with prettily patterned endpapers and gilt edges was a mainstay of my bedtime reading routine. That same book now sits on my daughter's shelf, but the shiny, omnipresent plasticity of Disney's pink and purple princess franchise has colored her expectations. I don't dislike the Disney films. Far from it. To my daughter's delight, I know most of their soundtracks by heart and can identify almost all of their characters (even the most obscure!) But there is a meatier aspect to fairy tales—sometimes grisly and repulsive, sometimes profound and endearing—that merits a closer look. And Marina Warner's eloquent, yet concise historical overview of the genre does just that. In other words, it's not just about princesses and their Prince Charming. On the contrary, fairy tales are an archive of perennial problems. I did not realize, for example, that Wilhelm Grimm had repeatedly edited his tales to exculpate male figures and belittle the importance of heroines. One interesting example is his modification of the Rapunzel story from a call for broader sexual education (after routinely allowing the prince into her tower, her clothes grew progressively tighter around her belly; she was a victim of ignorance) to portraying the female protagonist as silly and forgetful. Warner's well-crafted prose and facility with her material makes this book fluid and engrossing. I found myself reassured of the value of fairy tales, challenged by Warner's critical interpretations, and informed about a plethora of fairy tales old and new. Inspired by this short history, I'm eager for my daughter and students to explore these fascinating stories. Kelly Digby Peebles lives in South Carolina with her husband and two children. She finds enormous pleasure in teaching French language, literature, and culture to college students and her family, especially when it involves travel to France. Her book Tales and Trials of Love, a critically edited translation of seven short stories, challenges traditional ideas of women's roles, love, and marriage in Renaissance France. While thinking of creative nonfiction as a spectrum of genres can be illuminating, sometimes it is helpful to have what I call a "skeleton outline" of what makes a good essay. When I taught composition at the college level, I would often explain to students that a skeleton outline is like the body's bones. Without it, it's hard to move forward. Let's look at the skeleton outline of what makes a good piece of writing, regardless of the type, be it an essay, a book review, or any other piece of nonfiction. Poetry starts with an image. Fiction starts with a scene. Good nonfiction combines elements of both of these genres to paint a picture for the reader and draw her in. Kelly does just that with the poetic "prettily patterned endpapers and gilt edge" and the mention of herself reading to her daughter. Establishment of connection with the writer. The next thing that a reader of nonfiction asks is, "Who is this writer and why should I trust her?" This can be established by giving authority, sharing experience, or opening up to the reader. In this case, Kelly admits that she likes Disney films (so Literary Mama readers feel a sense of who she is) and that this is a way of connecting with her young daughter. And then the thesis of the essay is brought forth. This doesn't always have to be at the end of the introductory paragraph, but it works. And the important thing about a thesis is that it presents an argument that someone may agree or disagree with. It's not just an observation or an opinion. It will have to be backed up with reasons (or what I call "The 3 Es"). The middle of an essay explains the background to both the writer and the subject, and Kelly does this by establishing herself as a French professor who is not only interested in fairy tales for her daughter but for her students, as well. She also goes on to explain more about the subject–in this case, Warner's book itself–so the reader gains clarity. Like a good lawyer, a nonfiction writer presents evidence to convince the reader that her argument is true. Kelly does this in three ways: mentioning the scope and variety of the fairy tales covered in the book, sharing a pertinent passage, and zooming in on the most interesting aspects of the study. She also does this with a deftness of voice that keeps the reader engaged (saying, "I did not realize, for example") without deteriorating into jargon and academicism. Finally, the body of the essay should include a good example that illustrates the larger points of the essay. A writer could do this with a story, or an example from the text, as Kelly does, or an examination of a larger pattern at work. Far from simply being a summary of the essay, a good conclusion loops back to the themes throughout the essay so the reader feels a sense of closure, and Kelly touches upon these in her final paragraph. And the final touch on a good nonfiction piece is the answer to the question, "Why does this matter?" Kelly does this beautifully by reminding us that Warner's book is important not only for her personally, but that it holds lessons that she can pass on to her daughter and students. Next month's column will be my last one for Literary Mama. 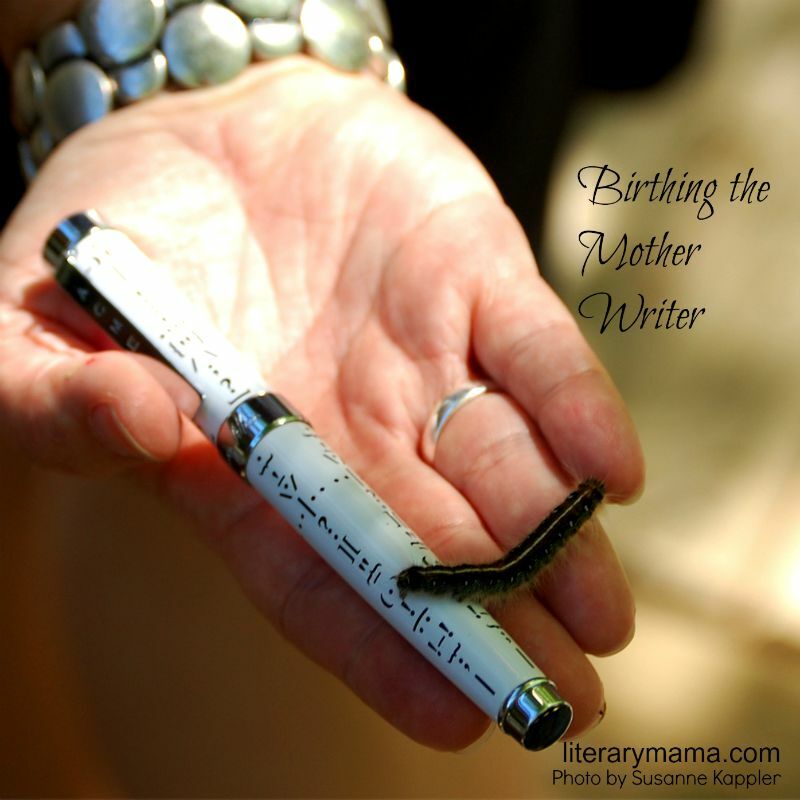 I have been writing the "Birthing the Mother" column since 2009, and it has been one of the sweetest and most profound experiences of my writing career. I hope you have enjoyed the column, too, and I look forward to hearing from you in the comments about what you've learned, how you've grown, and how you have birthed yourself as a mother writer over the years. I remember so clearly the night I found your column. My husband was sleeping next to me, and I was wide awake, wondering if cancer was going to take me, what would happen to my family if it did, how we would pay for it whether it did or did not, and a million other worries that come in the night. Finally I got out my phone and that’s when I found your class, tiptoed downstairs, and submitted my first ever personal essay. I felt exposed and liberated, vulnerable and powerful, all at the same time. Since then I’ve created my own website, which admittedly needs work, and little by little I’m sending in stories and essays for others to read. I did that because of you. My next goal is to be paid for a piece of work, even a dollar. I want the validation of monetary pay for a piece of creative writing. Because of you, because of the little steps you prompt me to take, because of the example you set with your own life and work, I believe it will happen. In the time I’ve "known" you, my family has moved from our big, lovely home. We’ve lost a property to a wild fire. I’ve regrown my hair. And I’ve written and shared with less fear and more power. I will miss you at Literary Mama and want you to know that you’ve made a profound difference in my life. Thank you so much, Nancy! I am honored to have been part of your writing journey and I know you will continue to grow and enjoy the process of it all -- the night waking, the brainstorming, the draft, the revision, the submission, the editing, and the publishing -- yes, and the payment!